My big Christmas surprise from my husband this year was a used (and signed) copy of this hard-to-find sequel to Those Miller Girls! (This is the third book. I have yet to read the second.) Lou Emma is now fifteen, and she and her sister, Maddy, age fourteen, live with their father, their stepmother, Miss Kate, and a three-year-old half-brother, Barney. The buzz around their adopted hometown of Gloriosa, Kansas is that for the first time a woman, Mrs. Lavinia Biddle, is running for mayor. All of the Millers support her candidacy wholeheartedly, and Lou Emma even has an idea for a cause that Mrs. Biddle can incorporate into her campaign platform. Unfortunately, though, Mrs. Biddle is not interested in Lou Emma's idea of opening a public library, and Lou Emma must take matters into her own hands in order to get the idea noticed. Like the later Betsy-Tacy books, this is a novel with more teen concerns than childish ones. Lou Emma has all the self-confidence issues that often plague adolescence and they influence everything from her relationships with her dad, her sister, and her stepmom, to her budding romance with Tommy Biddle and her rivalry with obnoxious schoolmate Zetta Colby. Through the course of the book, though, Lou Emma begins to find her voice and come of age, but in a very organic and wholesome way. There is some teen rebelliousness in this book (mostly on Zetta's part), and even a bit of a catfight but nothing to scandalize a younger reader very much. I would consider it a "clean" teen read. This book lacks some of the appeal of the first book of the series. 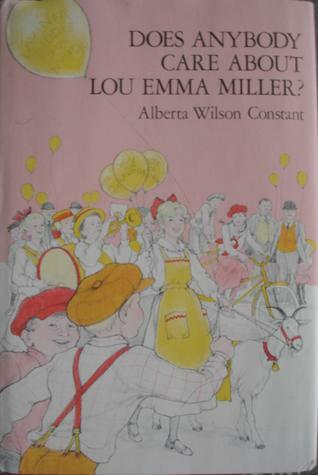 Because Lou Emma is older and struggling to understand her parents at times, there isn't as much light-hearted family repartee in this book, and Mr. Miller seems to fade into the background a bit now that the family is larger. But there is some very realistic tension between Lou Emma and Maddy and a wonderful friendship with an ornery algebra teacher that pick up the slack. The book also imparts a lot of information about women's suffrage and early feminism (the only kind I can even try to tolerate) and gives some interesting insight into how libraries got started back in the beginning of the 20th century. I'm really curious about that second book, The Motoring Millers, and I hope I will find it someday so that I can see how all three work together as a trilogy. But I am pleased to have read the last book of the Millers' adventures, and I'm planning to save the book for my own girls to enjoy when they are young teens.